Our compact and portable design is perfect for parties. Even for BBQ, or other outdoor activities. As its name indicates , it is a small sized CO2 regulator. 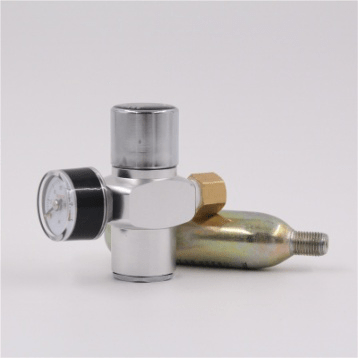 In addition, this mini CO2 regulator is a high quality regulator. It has a solid construction with high quality aluminum body . It has an adjustable knob. So, it allows you to adjust and read the wworking pressure on it. 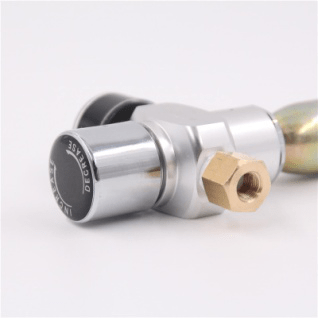 The 1.8 K safety valve can provide safety when the gas is open. It avoids any burn or injury due to excessive gas that could evaporate. Our regulator fits with 16g threaded CO2 cartridge . And 74g 5/8-18UNF threaded CO2 cartridges . Output is 1/4 MFL or M8*0.75 which connected to ball lock or pin lock disconnect of corny kegs. There is an adapter used to connect the regulator to the grey color ball lock (gas in ). Especially for single or double quick connector spear. For those customers who would like to use refillable CO2 tank,we also manufacture Soda Stream adapter .Soda stream adapter exist in different sizes in different countries , so you need us know which kind of soda stream you are using in US , Australia or Europe . However ,these are standards specifications , but we can customize according to your needs . Why Sinobartool mini C02 regulator is special ? We really pay more attention the the quality of our products. We prefer to choose the safest material. In order to avoid any complications or problems . Gas in connection is made of brass, not aluminum. Brass is more harder than aluminum. Brass is essentially impossible to destroy with high heat or pressure. Our gasket seal is durable and food grade. We invest much more money and time to get US Food and Drug Administration (US FDA ) and EU certificate. So if you are strict in choosing your material, our regulator is the best choice . Our gauge working pressure is more accurate than other supplier. Sometimes customers complain that the pressure change itself . Several hours after tapping their beer. But you will not get into this trouble with our C02 regulator . 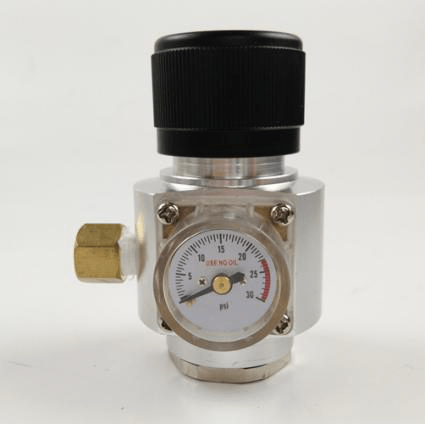 1)For Nitrogen cartridge ,we recommend brass regulator .Since Nitrogen gas consume much more pressure than CO2, and aluminum can’t bear much more pressure, so brass is more safer. What are the differences between forced and natural carbonation ?